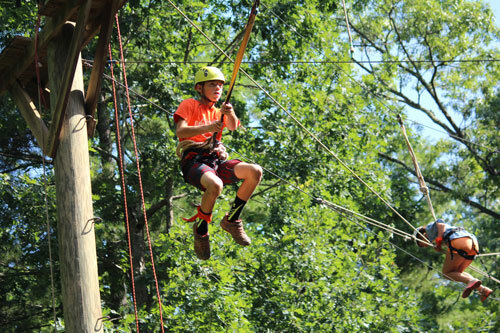 Survivor is one of Tekoa’s most popular adventure camps! Much like the TV show Survivor, campers engage in group challenges and competitions in order to earn supplies and valuable equipment throughout the week. Campers live at a primitive campsite where they learn how to make fires, prepare food, and navigate challenges. The week culminates with a “final challenge” day on Friday. Challenge, teamwork, and perseverance will be learned as campers grow in skills and in their faith!